The making of this list has seen much debate. Why Satyajit Ray’s Pratidwandi and not Mahanagar? Why not Dhobi Ghat or Hyderabad Blues? Truth is, it’s tough choosing just 10 films from the wide variety of cinema in the past 100 years. For the rest, we hope the debate will go on. 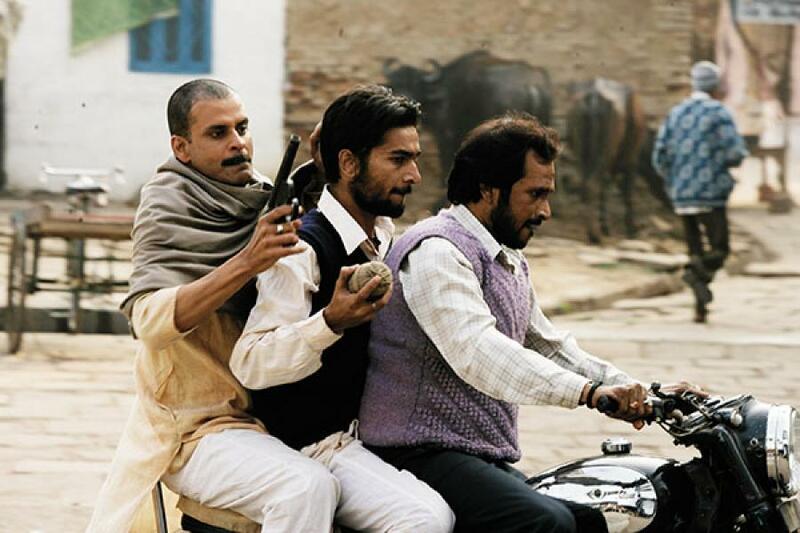 Gangs of Wasseypur is a two-part saga of Dhanbad’s savage coal mafia sprawling over six decades. The film stuns you with impeccable detailing, authenticity in setup, flavour of the language (including most certainly the local profanities), and the rustic musical score picked up from the streets of Bihar. Right from the opening sequence that introduces us to Wasseypur, the film goes on to bring the little town alive on the big screen. 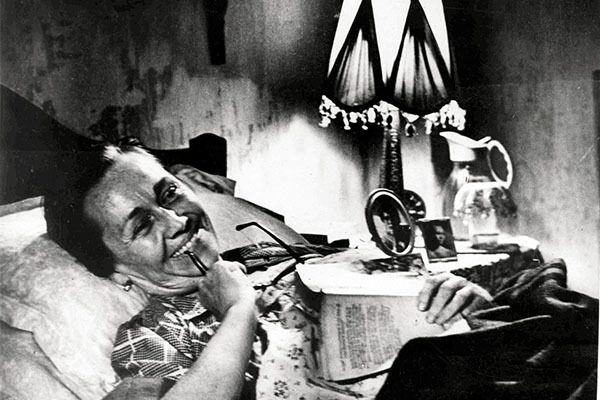 In 36 Chowringhee Lane, English grammar teacher Violet Stoneham, an Anglo-Indian, is probably the last of a generation that was quintessentially Calcuttan. It portrays a Calcutta in transition: Where her olden loneliness has a fleeting courtship with the young and the restless. And then, she is pushed back into her melancholic confines. Debutant director Aparna Sen sets her movie in Calcutta, a city that has grown up in the charms of yore, but is poised to move on. Satyajit Ray’s Pratidwandi presents one of the most perfect pictures of a volatile Calcutta of the 1970s—the economic stagnation, the ultra-Left Naxalbari movement, and a swirling cynicism amidst the youth. The vignettes of life that Ray shows in the film have lived on over decades through graffiti, street chatter, and the psyche of Calcuttans. That era never seems too far away. This period film is a touching narrative of the lives of the silk weavers of Kanchipuram, who writhe in abject poverty despite weaving saris that often become proud possessions of the well-heeled. It captures a specific phase in the history of the Tamil Nadu town, but could well translate into the life story of all those who belong to the dying breed. This self-confessed ode to Bombay stands out for the way it turns the city inside out through the eyes of a pint-sized outsider and his chums who call the streets their home. 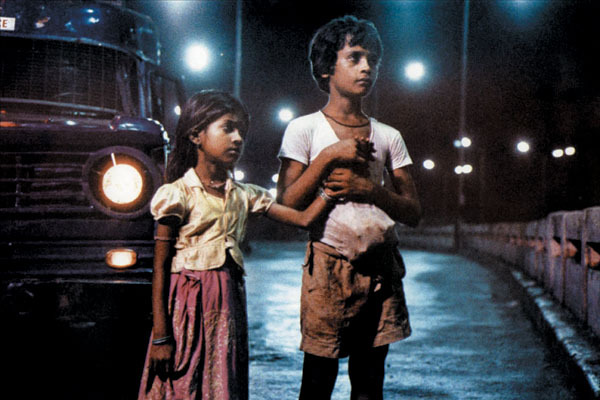 In Salaam Bombay, Mira Nair tells a story we’ve heard much about but seldom get to see: Of the city’s proverbial underbelly, relentless aspirations and festering dreams. Satya’s portrayal of a grimy, crude, crime-stricken, claustrophobic metropolis with its half-constructed buildings, dimly lit alleys, dingy chawls, unkempt streets, and a ruthless community of gangsters is almost an antithesis to the glitz and glamour of Mumbai that most Hindi films have shown over the years. Gang wars, extortion and killings are as integral to the city as its towering skyline and beautiful coastline. Shyam Benegal’s Trikal depicts pre-liberation Goa—at the cusp of a transition from a Portuguese-ruled district to an India-governed state—through the eyes of an elite Catholic family. Their concerns are real as their power and social influence wane; their lingo is peppered with Konkani and Portuguese; their high-end lifestyles are a sharp contrast to that of their servants who hail from quiet coastal villages and reside in sooty kitchens. The film is distinctly Goan and a microcosm of the city’s changing socio-political landscape in the 1960s. Alaipayuthey is perhaps the most madrasi of all Madras movies of Mani Ratnam, capturing the sights, sounds and spirit of the city at the turn of the century. The characters of this intense family drama—be it the acerbic lawyer (sipping his morning coffee, while reading The Hindu), the idealistic railway employee (and the black posters that follow his death), or the young engineers pulling each others’ legs—are so typical of Chennai that they define the city as much as the suburban trains, the traffic, the beaches and the bus stops do. Though it starts off in rustic Punjab, Dev D aces it with a brilliant portrayal of Paharganj’s neon-lit Israeli Street teeming with foreigners, drug peddlers, pimps and prostitutes. The protagonist is a rich, spoilt brat who, among other things, is seduced by Delhi’s underbelly and saunters into seedy hotels and pubs with white women. It is a Delhi—beyond the lush greens of Lutyens’ and the enclosed walls of South Block—that many identify with. Khosla Ka Ghosla is perhaps the most accurate Delhi film, where, instead of extravagant tilts and pans of the physical city, a layered Delhiness is woven into every frame and dialogue. Anupam Kher’s KK Khosla, a middle-class Delhite wanting to build a home, and Boman Irani’s Kishan Khurana, a shrewd builder who arm-twists the city’s ‘powerful’ people, are two characters straight out of Delhi streets that we relate to. Why does Mumbai have to be grimily depicted for it to be an accurate portrayal. 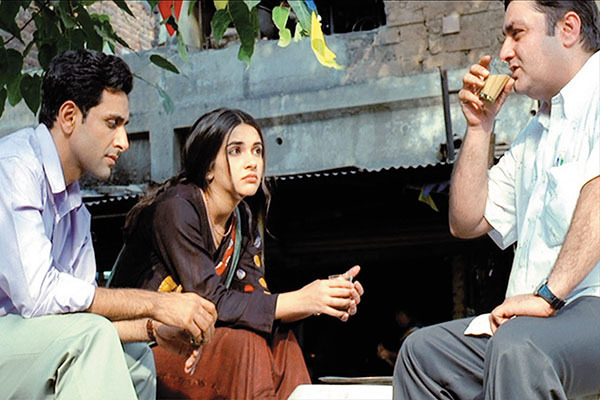 Take a view see of Rohan Sippy\'s Bluffmaster ( 2000) - some beautiful shots of aamchi Mumbai!